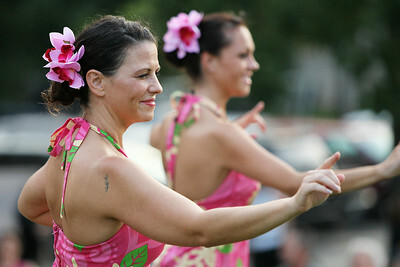 Members of The Barefoot Hawaiian performed Tuesday, July 31, 2012 at Indian Trail Beach in Lake in the Hills. Mike Greene - mgreene@shawmedia.com Members of The Barefoot Hawaiian perform for a crowd Tuesday, July 31, 2012 at Indian Trail Beach in Lake in the Hills. 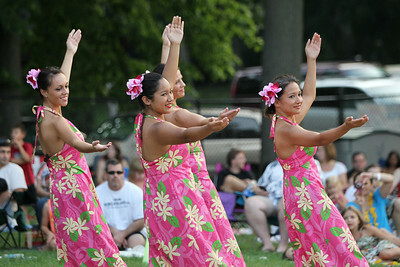 The event, hosted by the Village of Lake in the Hills, included a mix of dynamic dances, music, and vibrant costumes as well as a fire dancer. 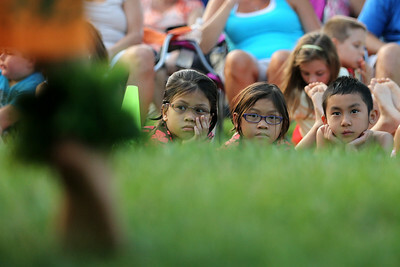 Mike Greene - mgreene@shawmedia.com Raizel Andaya (left), 8, her sister Rheana, 6, and Kenji Aoki, 7, watch members of The Barefoot Hawaiian perform Tuesday, July 31, 2012 at Indian Trail Beach in Lake in the Hills. The event, hosted by the Village of Lake in the Hills, included a mix of dynamic dances, music, and vibrant costumes as well as a fire dancer. Mike Greene - mgreene@shawmedia.com A member of The Barefoot Hawaiian performs for a crowd Tuesday, July 31, 2012 at Indian Trail Beach in Lake in the Hills. The event, hosted by the Village of Lake in the Hills, included a mix of dynamic dances, music, and vibrant costumes as well as a fire dancer. Mike Greene - mgreene@shawmedia.com Members of the audience follow the lead of a member of The Barefoot Hawaiian Tuesday, July 31, 2012 at Indian Trail Beach in Lake in the Hills. The event, hosted by the Village of Lake in the Hills, included a mix of dynamic dances, music, and vibrant costumes as well as a fire dancer. 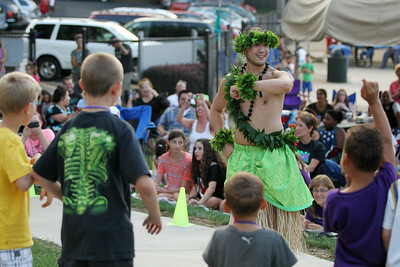 Mike Greene - mgreene@shawmedia.com A member of The Barefoot Hawaiian instructs a group of male participants from the audience in a dance Tuesday, July 31, 2012 at Indian Trail Beach in Lake in the Hills. The event, hosted by the Village of Lake in the Hills, included a mix of dynamic dances, music, and vibrant costumes as well as a fire dancer. 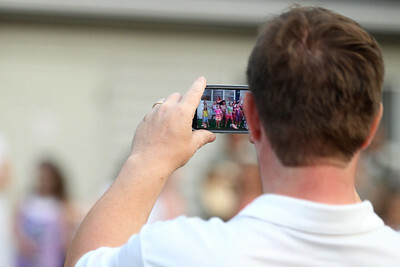 Mike Greene - mgreene@shawmedia.com A member of the audience films participants from the audience following the lead of members of The Barefoot Hawaiian Tuesday, July 31, 2012 at Indian Trail Beach in Lake in the Hills. The event, hosted by the Village of Lake in the Hills, included a mix of dynamic dances, music, and vibrant costumes as well as a fire dancer. 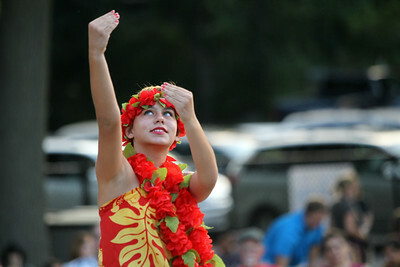 Mike Greene - mgreene@shawmedia.com Sue Balmer, of Algonquin, smiles at a member of The Barefoot Hawaiian while participating in a dance in front of the crowd Tuesday, July 31, 2012 at Indian Trail Beach in Lake in the Hills. The event, hosted by the Village of Lake in the Hills, included a mix of dynamic dances, music, and vibrant costumes as well as a fire dancer. 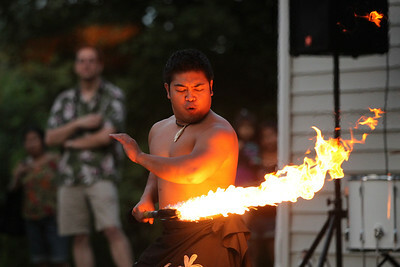 Mike Greene - mgreene@shawmedia.com A fire dancer with The Barefoot Hawaiian performs for a crowd Tuesday, July 31, 2012 at Indian Trail Beach in Lake in the Hills. The event, hosted by the Village of Lake in the Hills, included a mix of dynamic dances, music, and vibrant costumes as well as a fire dancer. 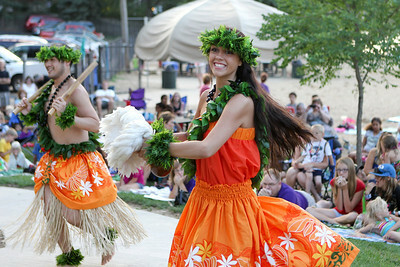 Members of The Barefoot Hawaiian perform for a crowd Tuesday, July 31, 2012 at Indian Trail Beach in Lake in the Hills. 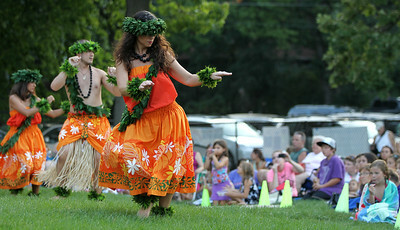 The event, hosted by the Village of Lake in the Hills, included a mix of dynamic dances, music, and vibrant costumes as well as a fire dancer.